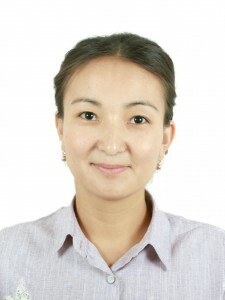 In 2015 she graduated from Karaganda State University named after E.A.Buketov with a degree in Mathematics. In 2017 defended her thesis for the degree of Master of Science. He has more than 5 scientific publications. Since 2017 he has been working as a teacher in the department of higher mathematics at KSTU.